Why Are Liberals Opponents of Israel? In the 1960's, Liberals were among some of Israel's strongest supporters, but have since become some of Israel's staunchest opponents. 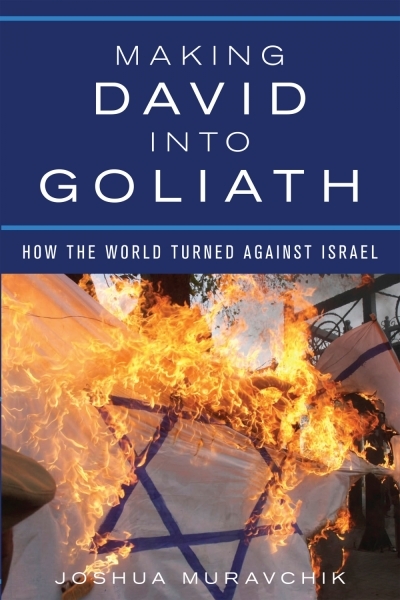 In his new book, Making David Into Goliath: How the World Turned Against Israel, Joshua Muravchik, a fellow at the Johns Hopkins University School of Advanced International Studies, explores the reasons behind this change. Last month's vote by the Presbyterian Church, U.S.A. to divest from three American companies whose products are sold to Israel was a recent example of the animus toward Israel commonly found on the Left. In an email interview with The Christian Post, Muravchik says that opposing Israel and supporting Palestinians fits with a new Leftist ideology that views modern political struggles as between race and ethnic groups, with the predominantly white West against the non-white rest of the world. This viewpoint has surpassed the previous class-based, rich versus poor, categories as the predominant ideology of the Left, he argued. Despite this change on the Left, Muravchik does not believe that Democrats will change their support for Israel because American voters are strong supporters of Israel. Muravchik also spoke about the anti-Israel sentiments found among some liberal Evangelicals and the bias in media coverage of the current conflict between Israel and Hamas. CP: Why, today, are conservatives generally pro-Israel and liberals generally pro-Palestinian? Muravchik: Leftists/liberals/progressives believe that the great moral drama of our era is "the rest against the West" or the "people of color" against the "white man." This has replaced poor-against-rich or worker-against-capitalist as the core idea of progressive thought. Seen through that lens, Israel (the "Western," "white" guys) is automatically wrong and the Palestinians (the "anti-colonialist" "people of color") are automatically right. On the other side, conservatives value Israel as a free country, a democracy, and an ally of the United States. CP: U.S. foreign policy toward Israel has remained remarkably consistent across presidential administrations. Do you see that changing? Muravchik: The U.S. will remain pro-Israel because polls show that the American public is strongly pro-Israel. President Obama has been cooler toward Israel that any other president in recent memory, saying in his first year that he wanted to "put daylight" between the U.S. and Israel, and he has done that, but still he has not changed U.S. policy radically. CP: What would we see from the Democratic Party today if there were no strong pro-Israel forces within its coalition? Muravchik: Support for Israel by Democratic politicians has less to do with any "forces" in the "coalition" than with the simple fact that U.S. public opinion is firmly pro-Israel. The Left, however, is now anti-Israel and it does its best to push the party in that direction. We saw its influence at the 2012 Democratic convention when the draft platform was much less pro-Israel than in the past, and the Obama team had to pull out all the stops — and go through three votes — to change the wording because they feared it would cost votes. CP: Last month, the Presbyterian Church (USA), a Mainline Protestant denomination, voted to divest from three American companies whose products are sold to Israel. What is the source of this strong anti-Israel sentiment among Mainline Protestants? 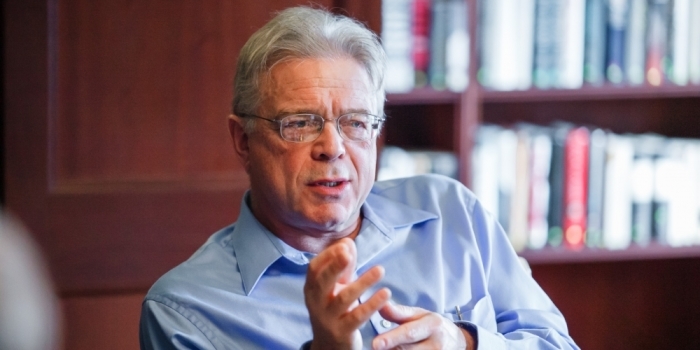 Muravchik: In the 1960s and 1970s the National Council of Churches, the World Council of Churches, and the leadership of some of the individual Mainline Protestant denominations turned sharply to the Left. To an outsider it looked as if they were replacing religious faith with political messianism. They embraced "revolutionary" forces in Vietnam, Cuba, Nicaragua, and other "third world" places even though those forces were both anti-human and anti-God. And they embraced Palestinian "revolutionaries" in the same spirit. CP: In the United States, the strongest supporters of Israel have been Jews and Evangelicals. Recently though, there have been some vocal anti-Israel or pro-Palestinian sentiments from liberal Evangelicals. Has anything surprised you about this phenomenon? Muravchik: It is not surprising for Evangelicals to be liberals. This faith does not require any particular political persuasion. But a genuine liberal must be pro-Israel. Israel — and not its enemies — is democratic, observes freedom of speech and worship, tolerates minorities, sanctifies the rights of women, and constantly reaches out to the other side with humanitarian gestures, such as the six Gazan babies who were transported to Israel this week, amidst the rocket fire, for free operations to repair congenital heart defects. To be anti-Israel is not to be liberal; rather it is to embrace the worldview of the radical Left which is totalitarian, anti-freedom, and anti-faith. It surprised me greatly to see some Evangelicals join that camp. CP: What do you think about the media coverage of the current conflict taking place between Israel and Hamas? Some conservatives have complained that the coverage is unfairly biased against Israel. Muravchik: The coverage is biased, especially in The New York Times, which once was fair and balanced but today filters the whole world through a leftish lens. And of course the Times influences others. In addition to simple bias, another factor is at work. Israel is an open society, with a press that watchdogs the government and washes the country's dirty linen in public. Many stories in the U.S. press that show some of the bad side of Israel originate in the Israeli press. There is nothing remotely comparable on the Arab side. There is no press freedom, and if someone in Gaza wants to reveal Hamas's nasty deeds, it's as good as his life.